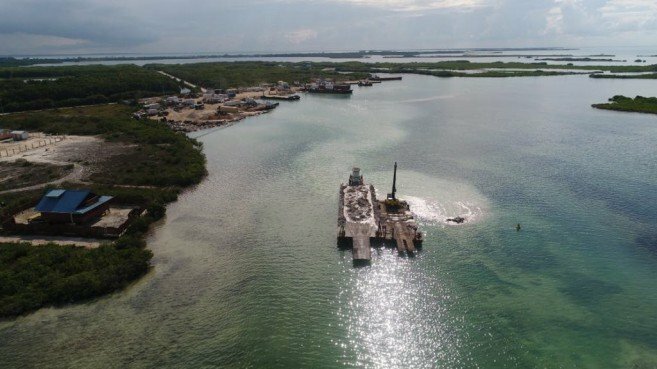 Currently, San Pedro Belize Express and San Pedro Water Jets International use the facility for their runs from San Pedro Town to Chetumal, Mexico. But other than that, the multi-million-dollar terminal is yet to be fully operational. 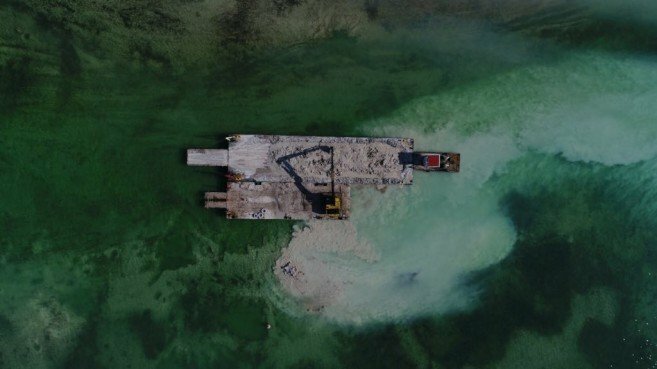 The SPTC has not fully revealed details of the dredging presently taking place, but it comes on the heels of a proposed boat terminal to relocate San Pedro Belize Express from the Municipal Dock. 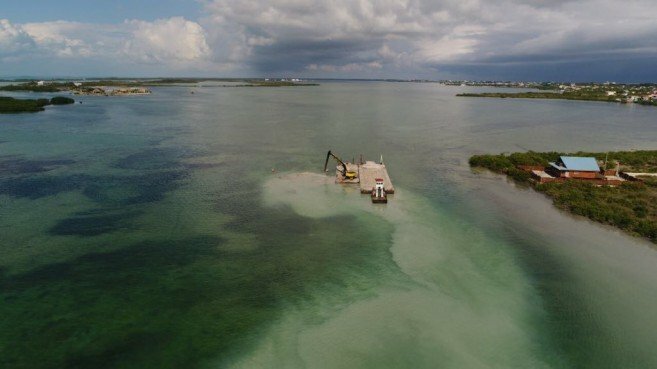 The Belize City-based water taxi company first moved to the Municipal Dock in 2016 following the devastating category 1 Hurricane Earl. Recently they acquired Ruby’s Hotel on the beach along with a dock in front of its premises. 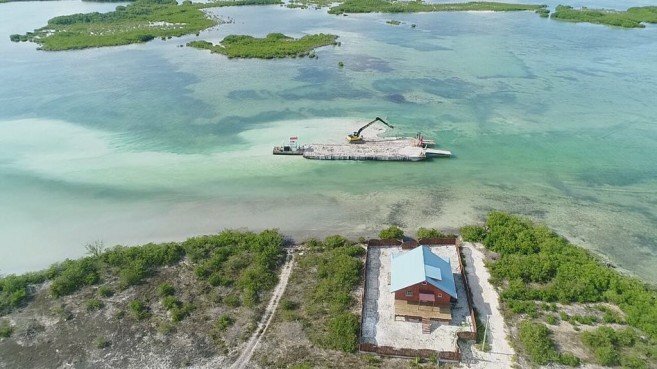 It is alleged that the company has plans to build a boat terminal at their new property, while the SPTC along with organizations like the Belize Tourism Industry Association San Pedro Chapter are objecting to it. Islanders objected to the introduction of the project before it was completed in 2014, stating during its public consultation stage that the lagoon was too shallow to accommodate large vessels and extensive dredging would have to be done. They instead suggested that Central Government use the funds to improve health services and construct a new government school on the island. They also recommended that the funds be used to improve the infrastructure in the San Mateo area instead of the proprosed terminal. However, Central Government ignored all objections and suggestions and proceeded to build the water taxi terminal. Several years after, the facility continues to be underused, and the deserted facilities are now showing signs of wear and neglect. 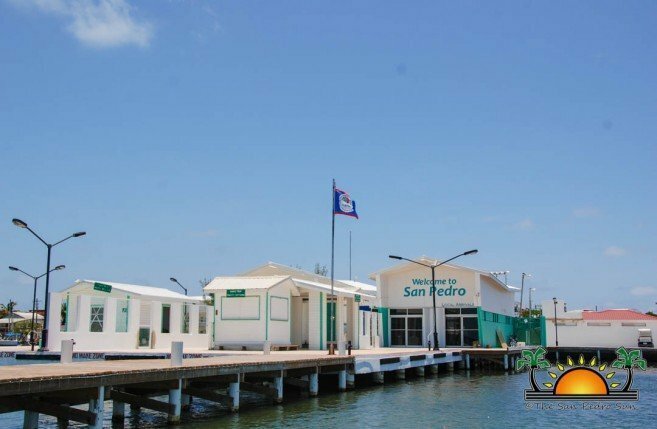 Guerrero stated the SPTC is asking San Pedro Belize Express to remain at the Municipal Dock until the main terminal is ready. Adding to the controversy of moving the terminal in the proposed location is its proximity to the San Pedro Roman Catholic Primary School. The SPTC continues to advocate making the island a child-friendly community and believes that such a project not only threatens the safety of the students but can cause other major problems. “It will also create a great deal of congestion when it comes to traffic, and increases the risk of an accident potentially involving students,” said Guerrero. He noted that the area is already experiencing traffic issues during school hours. He believes this issue only adds to making the Sunset Boardwalk the company’s best option. 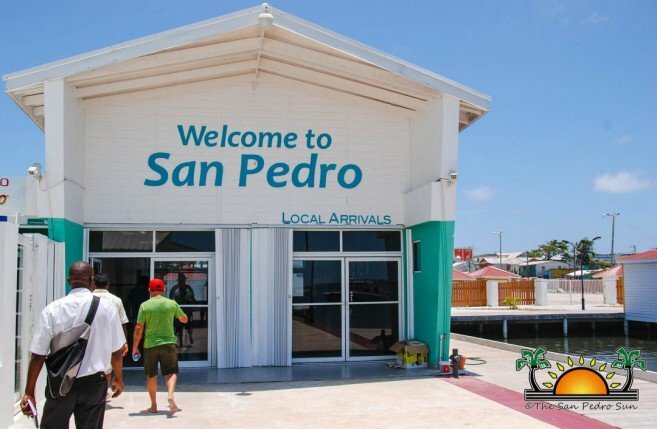 The controversy has been intensifying since November 2018, when Area Representative and Minister of Tourism and Civil Aviation, Honorable Manuel Heredia Jr., told the media that San Pedro Belize Express would relocate by Ruby’s Hotel. This statement came after it was known that the company had purchased the beach hotel along with its dock. However, Heredia has not been available to further comment on this matter.